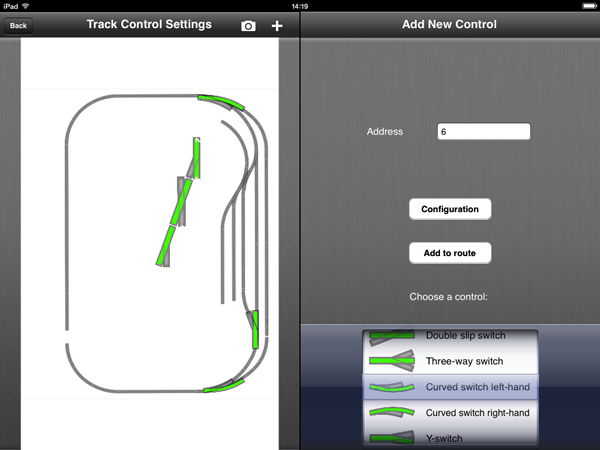 In this third article, we will look at adding point decoders and getting them added to the track control screen. 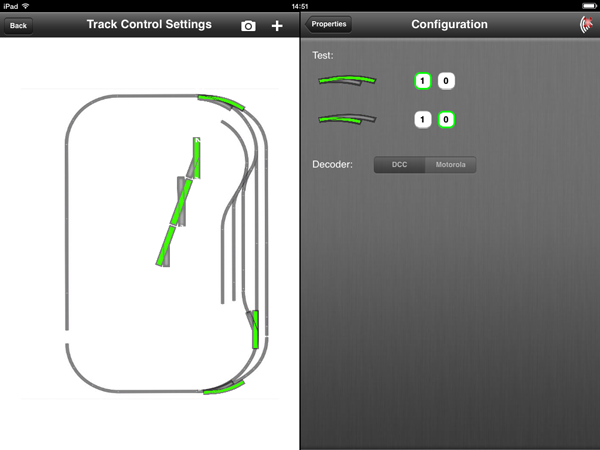 We would recommend using the newer style "learning" decoders like the Train Tech PC2 or the DCC Concepts AD series. Older style decoders will work, but the Z21 will run new decoders much more easily. To ensure compatibility with older Roco decoders, the Z21 treats many newer accessory decoders as if the address is set four higher than it actually is – this can be disabled using the Z21 maintenance tool on a computer, we will cover this and older decoders in part four. The newer learning decoders do not suffer from this at all, as the address of the decoder is set in a different way. 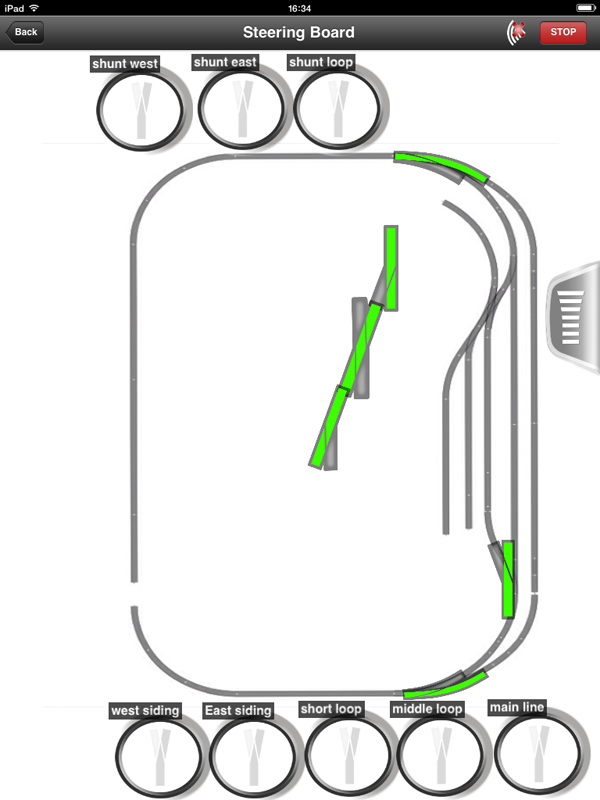 You will need to decide if you are going to overlay the controls for your points on a photo of the layout, or a diagram if this will be clearer. A diagram can be pretty much any image file that your tablet or phone can display. 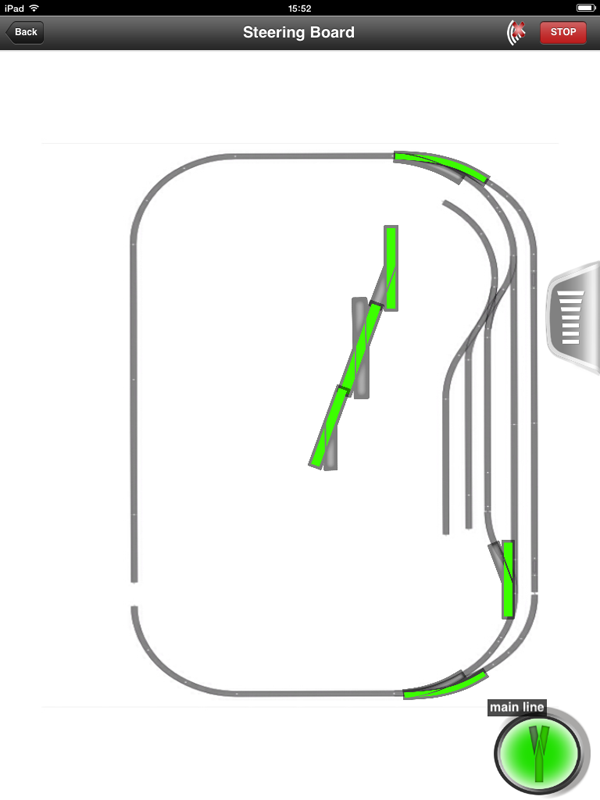 This could be hand drawn, or you can use one of the many track planning programs available on the internet – at Gaugemaster we tend use a program called Anyrail. 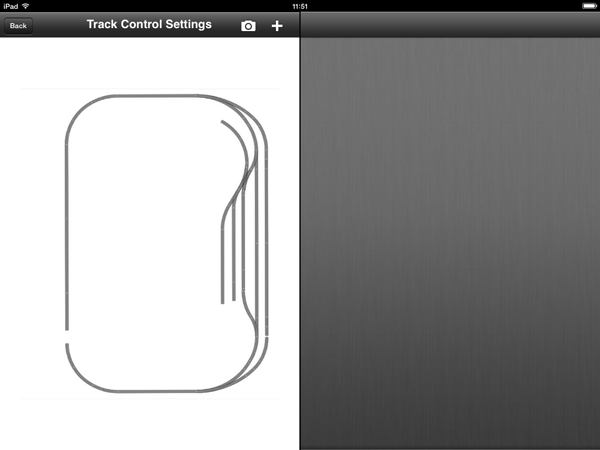 The trial version of this is free, and lets you use fifty track sections. This is more than enough to map out the junction areas of your layout, you would not need to include plain track sections. 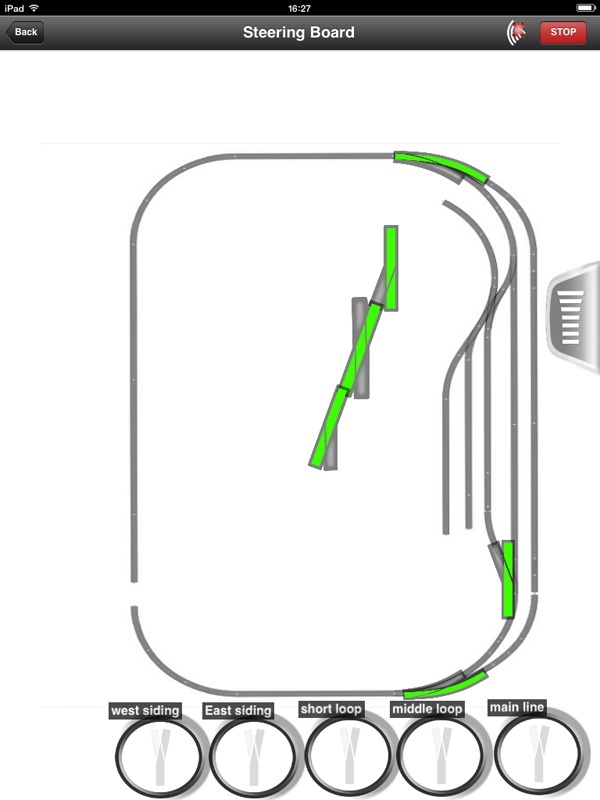 As an example, below is my garden line, we will add the point controls on top of this. 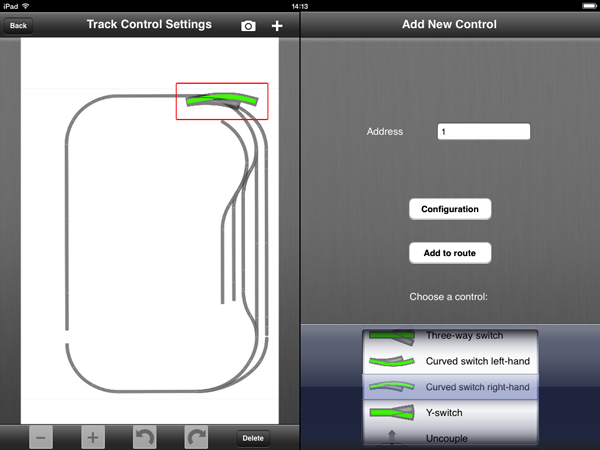 From the main Z21 screen, tap on track control settings – now tap the camera icon to add either a photo or the diagram you have created. 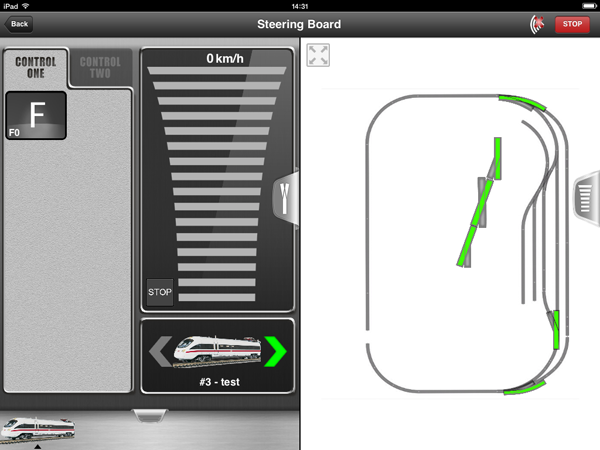 The Z21 will give you the option of taking a photo of the layout if you have not done so already. 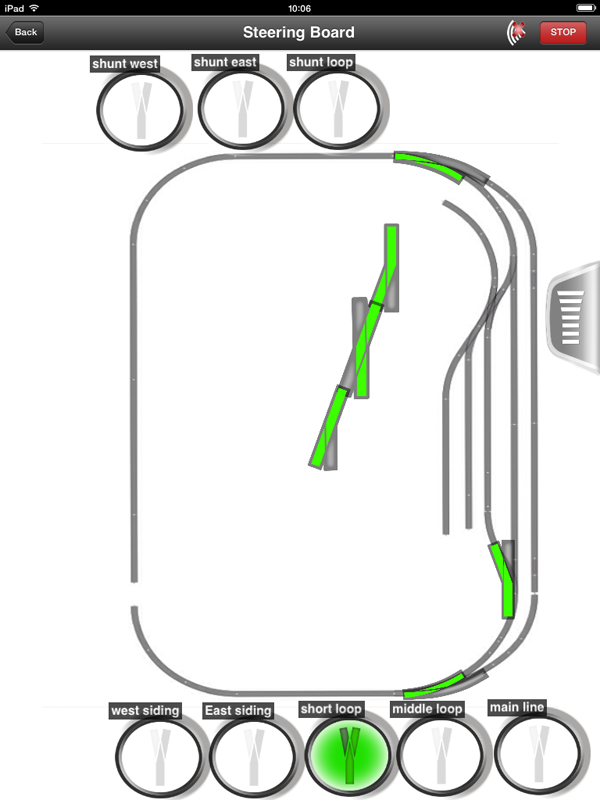 We can now change the scale of the point control on screen, and rotate it to match the diagram. 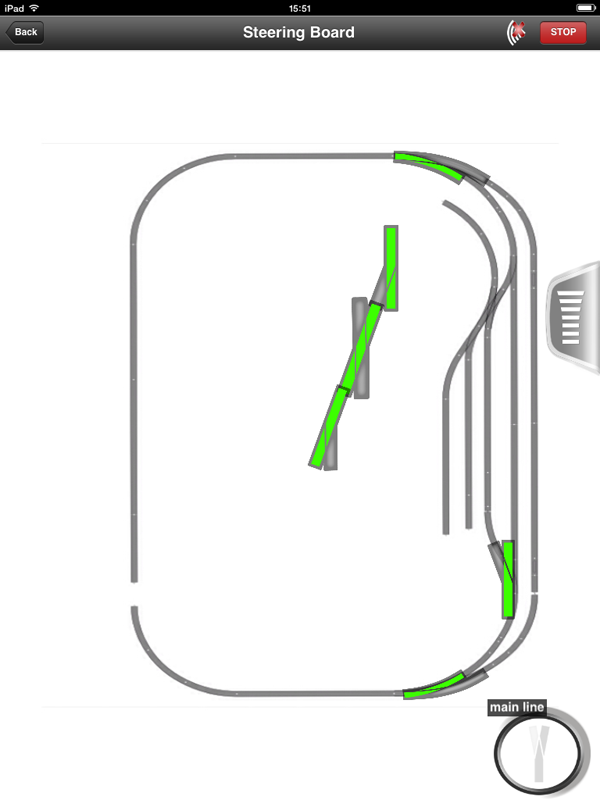 As you add points, the Z21 sets the next address in sequence for you – this address can be changed whenever you want by tapping on the relevant point in the track settings screen. 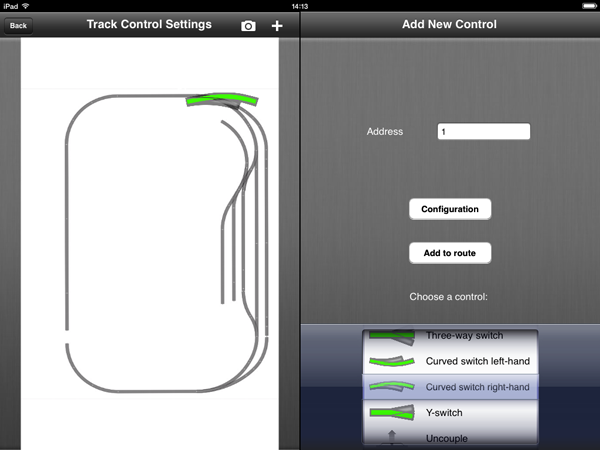 For us, if we are using "learning" decoders like the DCC Concepts or train Tech models, this actually saves us a job. 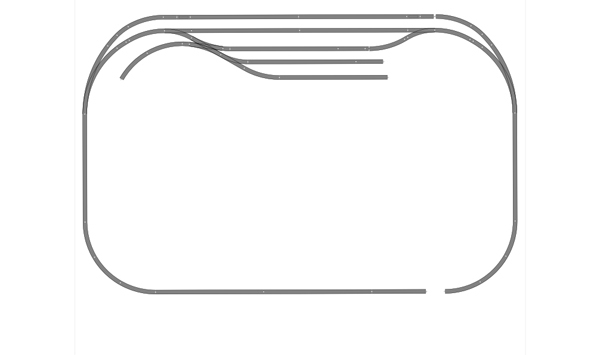 Two wires take power from the track, these connect to any of the DCC/12 to 14 volt terminals – one connection will reach the entire decoder. The “learn” switches can be seen in the centre of the decoder. The “solenoid” connections are where we take the wires that will run to the point motors. Once these are connected, we can return to the tablet. If you find it easier, connect one motor up at a time – once you have the hang of it you can do the rest, they do not all need to be done at once. We will set the point addresses from top to bottom – on the decoder, slide the "learn" switch that is connected to the first point to the right. The decoder is now listening for the accessory command that will trigger it. Tap the point control on the Z21 screen, and the decoder will set itself to this address. Slide the switch back to the left, and the address is set! 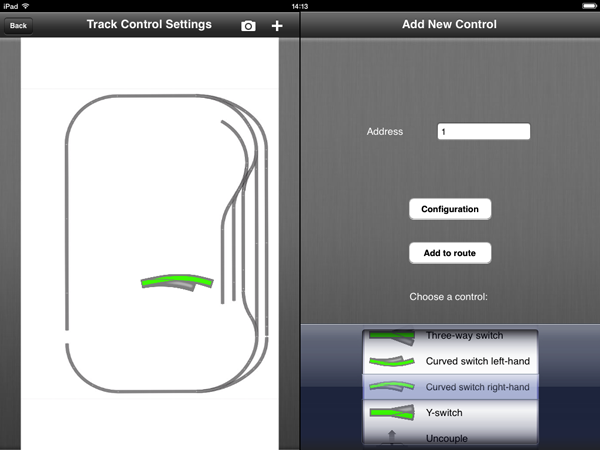 You can even test the orientation from this screen, just tap test to make sure it is set correctly. Return to the main screen, and tap the play button. You can now use the learn switches on the decoder to set the point addresses for the rest of the points. 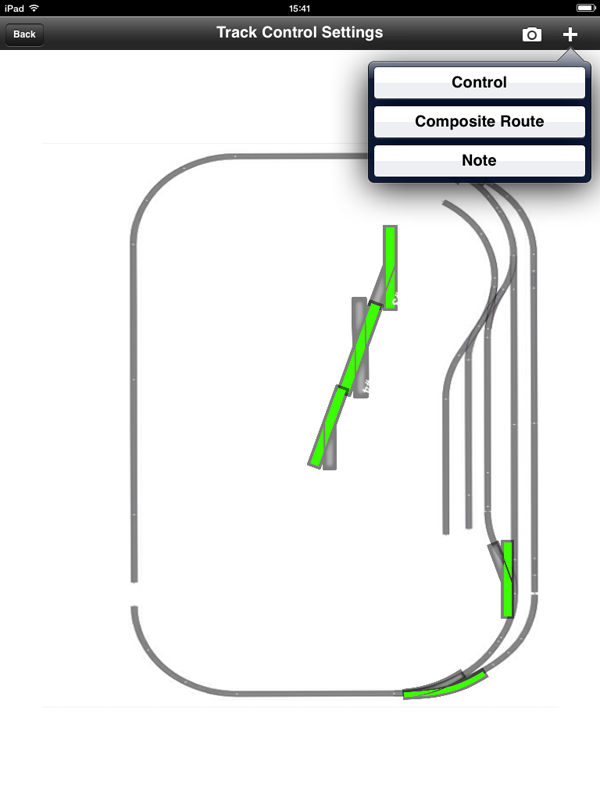 Once you have the points set up, you can also set up routes – rather than having to control each point individually, the Z21 can change every point needed to get from one track to another. Even on a small layout, this makes shunting an awful lot faster. On my garden line, I have a main running loop, a shorter station loop, a very short goods loop and two sidings that can also be accessed from a headshunt. 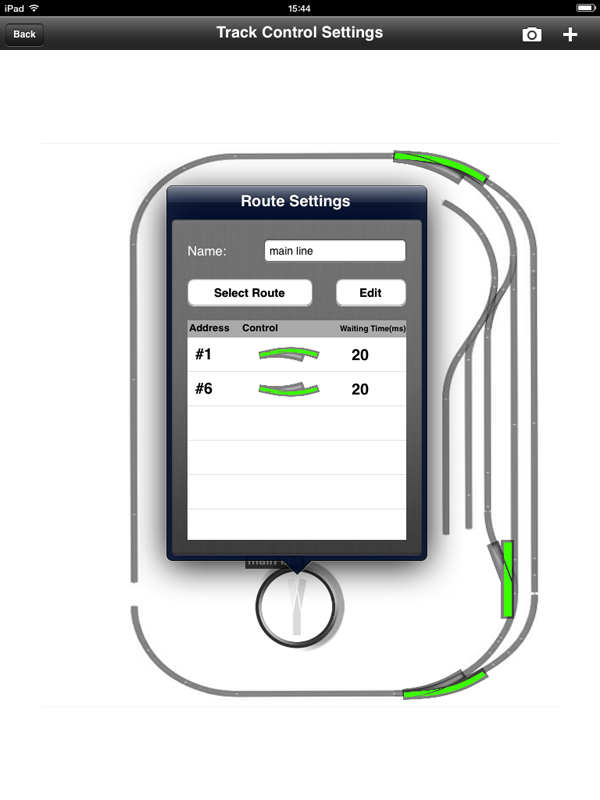 When setting up routes, you can either name them or number them for easy recognition – it is entirely up to you. 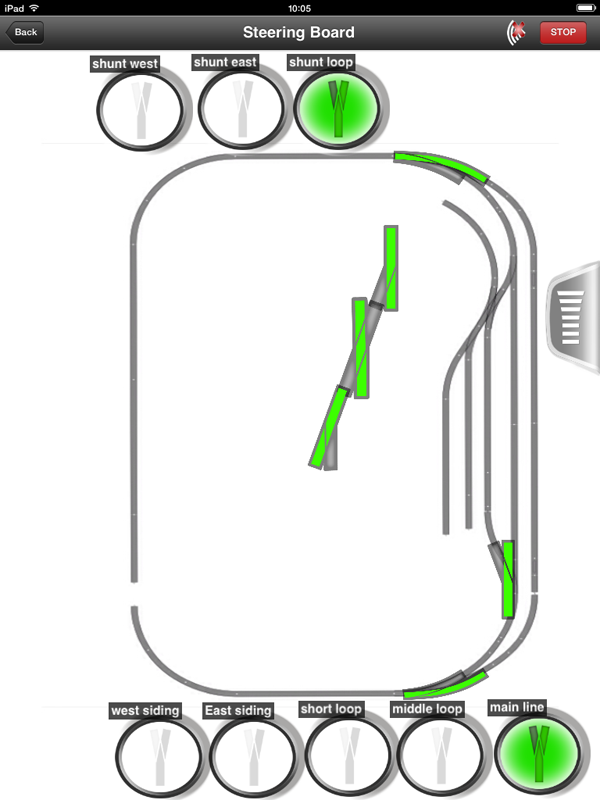 Tapping on any of the route controls now changes every point on that route, and lights the control to show you what is set. You may have older style accessory decoders that do not have the "learn" function. These can still be used, but they are more difficult to set up. 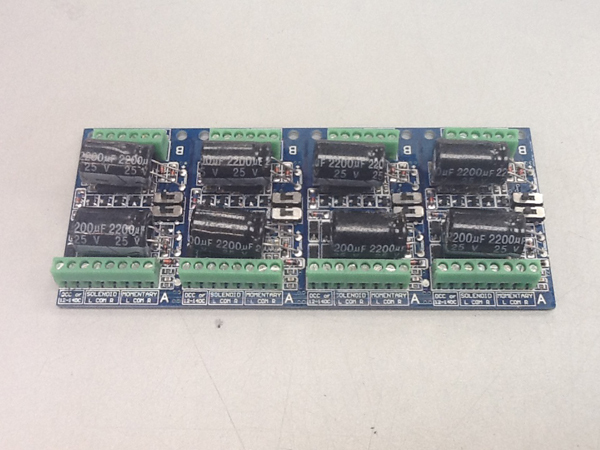 They tend to have 4 outputs, and are normally delivered from the factory pre-set to addresses 1 to four – if you have more than 4 points you will need a second decoder, which will need to be set to addresses 5 to 8. As mentioned in the first paragraph, the Z21 will treat these addresses as being 4 digits higher than they actually are, unless you make a small change to the settings of the Z21. This Is also an opportunity to update the firmware of the Z21 base unit. You will need a PC or laptop to do this, and an internet connection. We will cover this in the next part!